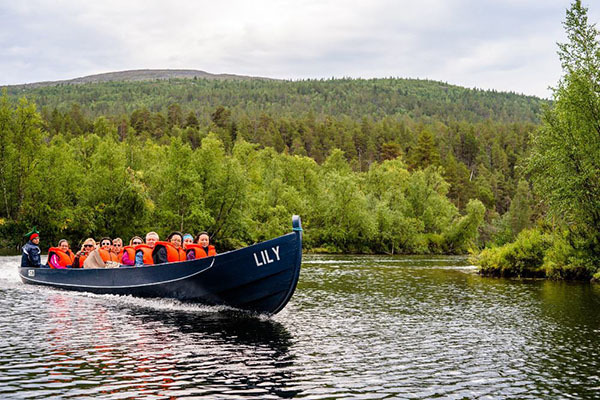 We travel by riverboat deep into the national park along the beautiful Lemmenjoki river, about 22 km to reach the historic gold sites. On the way you’ll see astonishing mountain line rising from the river canyon. From the river bank to the gold claim it’s only 600 meters to walk. 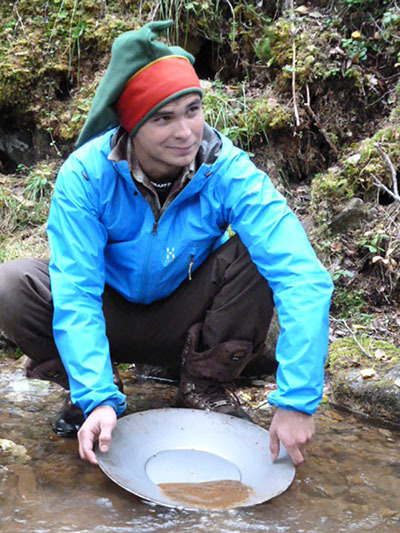 At the claim our host will show us the secrets of gold panning and everybody can try their skills in gold panning. After a while we’ll have delicious reindeer soup at open fire and for dessert coffee and cake. 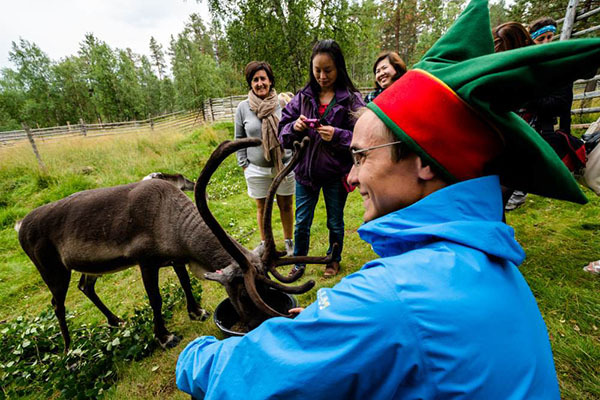 While sitting around the fire, you’ll have an opportunity to hear traditional sámi yoik and stories about reindeer herding. 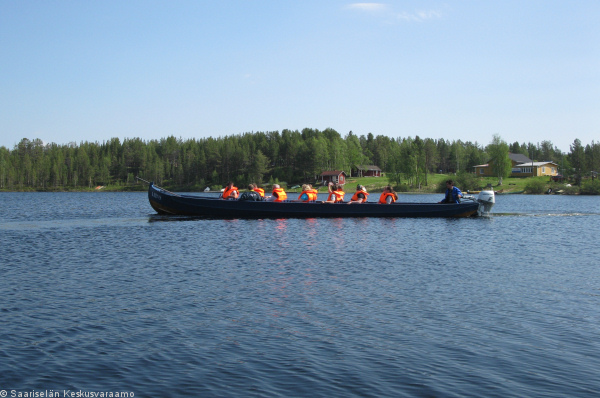 Finally, when arriving back to Lemmenjoki, we will meet reindeer at old sámi surroundings and visit in Art Studio Huopapirtti. • please ask for departure time! 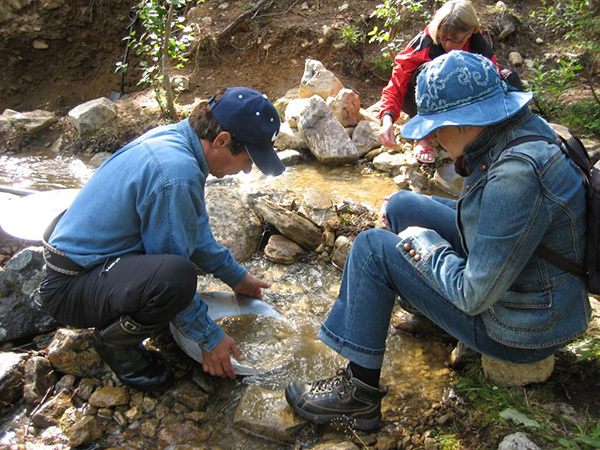 • gold panning and gold found up to 3 gr. 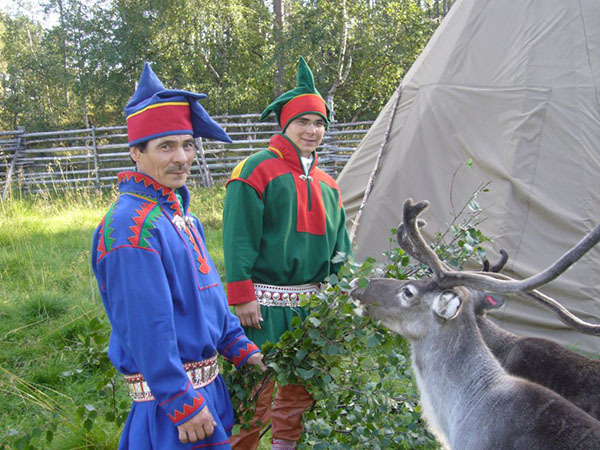 • In artist Kaija Paltto’s Ateljee you will hear about the reindeer sámi life and history in Lemmenjoki. • You’ll hear also how felt has been made for thousands of years from sheep wool into many purposes. 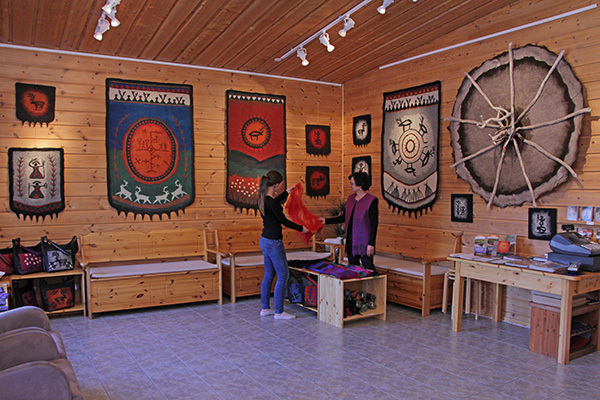 • A presentation will show how wool fibers, in the hands of a felt maker, turn into pictures, describing the surrounding nature. Producer: Heikki ja Kaija Paltto, y-1241072-8.